I completed my July UFO Challenge 🙂 #3 on the list was to complete my TBT (Traditional Block Thursday) quilt top. 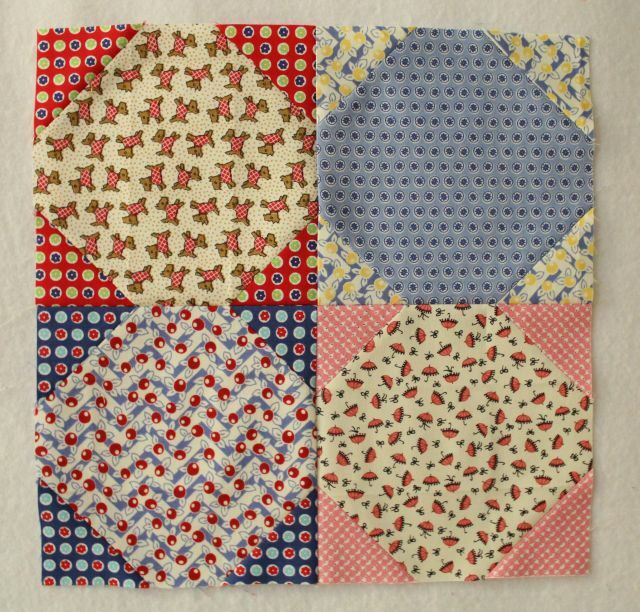 I started these blocks at the beginning of 2015 as a quilt along with Penny Rose Fabrics. 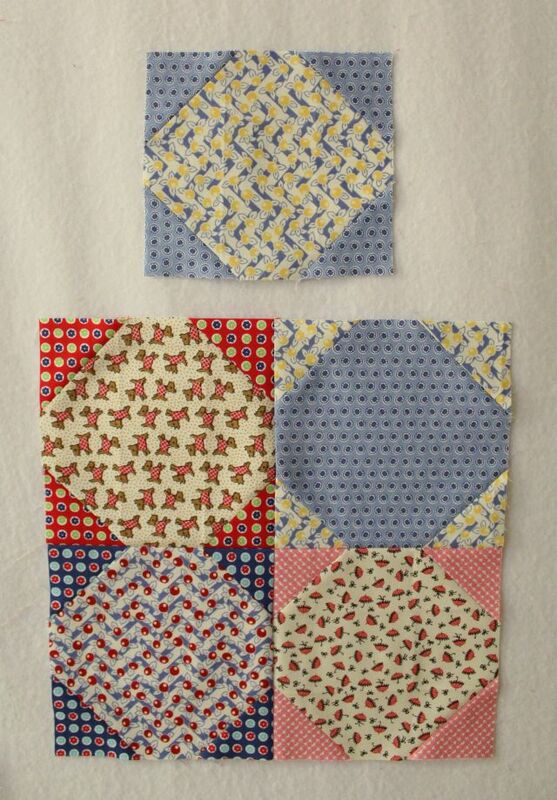 Many of these quilt blocks were my early teachings of piecing. Here’s the lovely fabric I found for the sashing and borders. 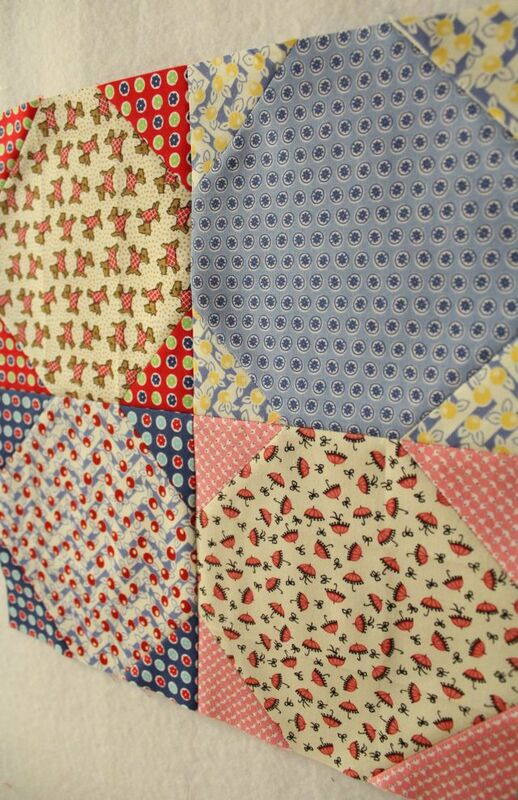 The sashing has little triangles (Dear Stella Chroma Basics) and adds a little modern touch to this reproduction quilt. As I worked through my quilt top, I noticed my thread running low. 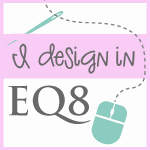 I’ve been working on this spool of thread…probably since I started this quilt! I made it to the shop in time to get my completion check off and my name entered in the drawing. I received two submissions, one for the completion and the second for a large quilt top 😀 Now I just have to sew up a backing and quilt it! 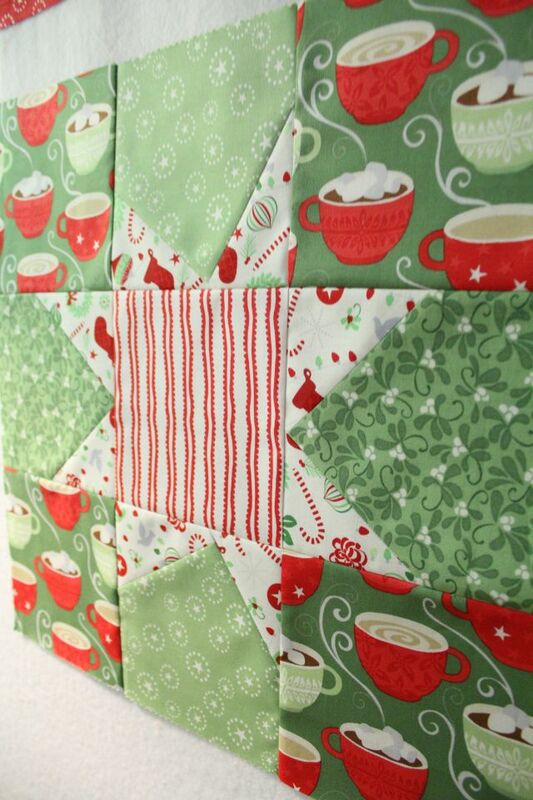 …maybe I’ll complete this quilt first thing next year… Little at a time, right? I know it’s late, but I still made it…Happy Thursday! I have two different blocks to share with you today. First, my Wonky Star for week 2, I like this star better than the first! More hot cocoa is a must and I’m now down to one colorway left from this print. I love the striped center; it reminds me of candy canes. 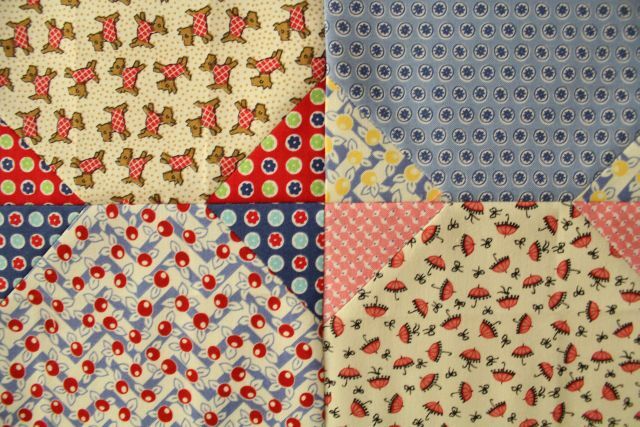 The white star points are also fun as you can play a little bit of I-spy with the Christmas inspired prints. This star was easier to make as my background fabric was non-directional and I could sew my points on any side. I also angled my half square triangles higher to get more of a point, which I prefer 🙂 Super excited about completing this quilt for the holidays and getting some pictures of it with the Christmas tree! 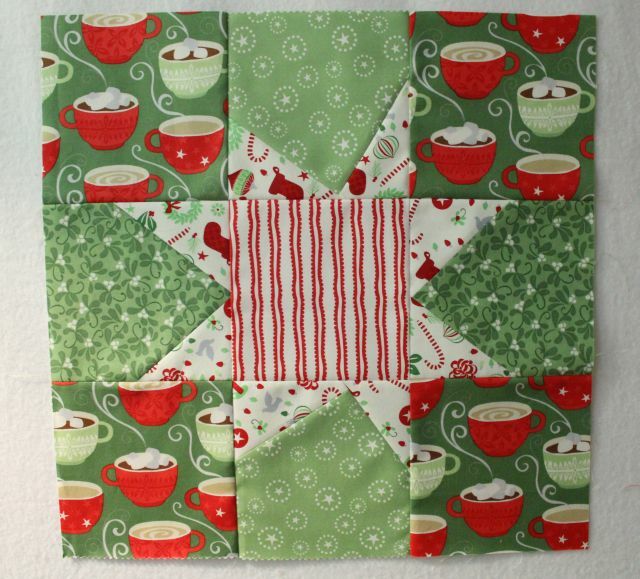 For my second block, I completed Penny Rose Fabrics Traditional Block Thursday, Snowball. A super easy block to make! These were made with 6.5″ centers and 2.5″ corners. I went with a very scrappy look making each block unique with different backgrounds. I love how this block turned out, but I’m also kicking myself for making one snowball too small and having to create a new one. Measure twice, cut once!!! Ugh, the fabrics were perfect together and I only had scrap sizes to cut from. The second block is made from the same fabric as the first, but with the center and background fabrics switched, which is all I had left of these two fabrics. Owell, the smaller snowball can be a quilt label for another project. I really love the colors and prints in this Snowball block. I’ve been waiting on the right block to showcase the Scotty Dog and Umbrella prints ❤ I also love the center where the four different background fabrics meet to create a colorful diamond shape.